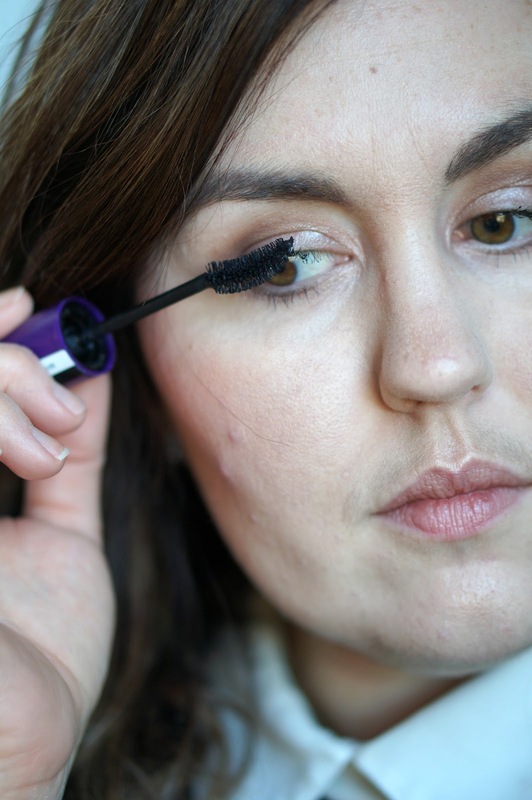 Of all makeup that I love to test out, mascara rates right up there on the list. It seems like there is always something new coming out. It’s hard to imagine that they are all actually different, but I have found the first mascara in a long time that has really stood out to me. They’re in my face, but not in your face. I would like them to be in your face. .. You know what I mean? My main problem is that my lashes have zero curl to them. Nada! I don’t like to use an eyelash curler, because I feel like it pulls on my lashes. When I saw this Rimmel Super Curler Mascara at the store, I was very excited to give it a go. In the world of mascaras, there are two general types. They are either wet or dry. Now, I prefer dry mascaras. They tend to give more volume and they grip my lashes better. Wet mascaras just generally don’t work on me. This Rimmel Super Curler Mascara is more on the dry side. The wand is more of a traditional bristle. It is curved and very full, so it grabs your lashes and pushes them up. The price is $5.99, which is a steal in my opinion. Pair that with a sale at CVS or Walgreens, and this is super affordable! As you can see below, it gives my lashes a ton of lift. The most impressive thing about this mascara is that my lashes stay like this all day. 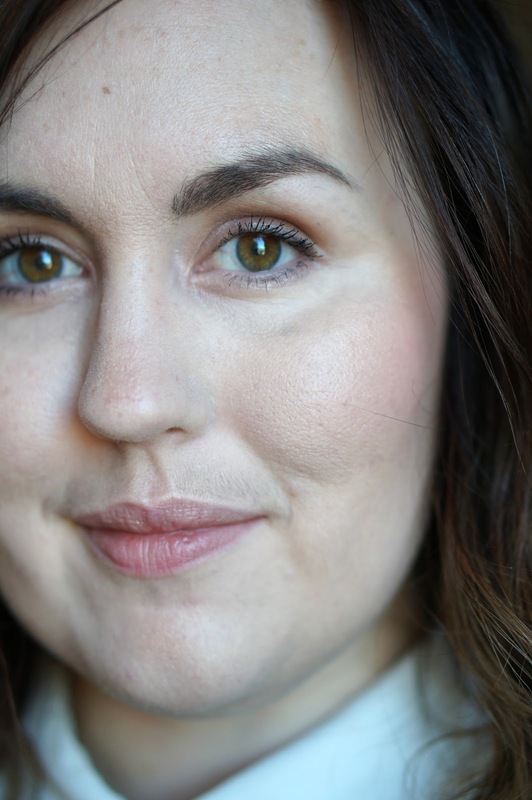 I’ve tried a few curling mascaras before, most recently was my favorite Guerlain Maxilash. At $32 a pop, Guerlain is not an everyday option for me. It’s more of a splurge item. In my opinion, this Rimmel Super Curler Mascara is a dupe for the Guerlain. Yup, I said it. This $5.99 mascara is on par with a $30 formula. To be honest, I get just a little bit more volume with the Guerlain mascara, but if you build up the Rimmel Super Curler Mascara with a few coats it’s exactly the same! All that to say, most curling mascaras don’t keep my lashes looking like this all day. By mid day, my lashes look straight again. With the Guerlain and the Rimmel mascaras, my lashes look lifted and volumized until I remove my makeup at night! 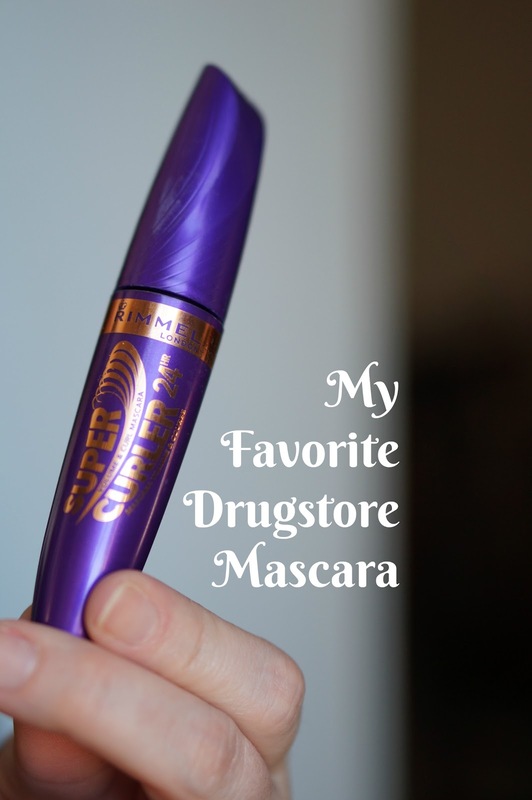 Let me know what your favorite drugstore mascara is. I’d love to check it out!